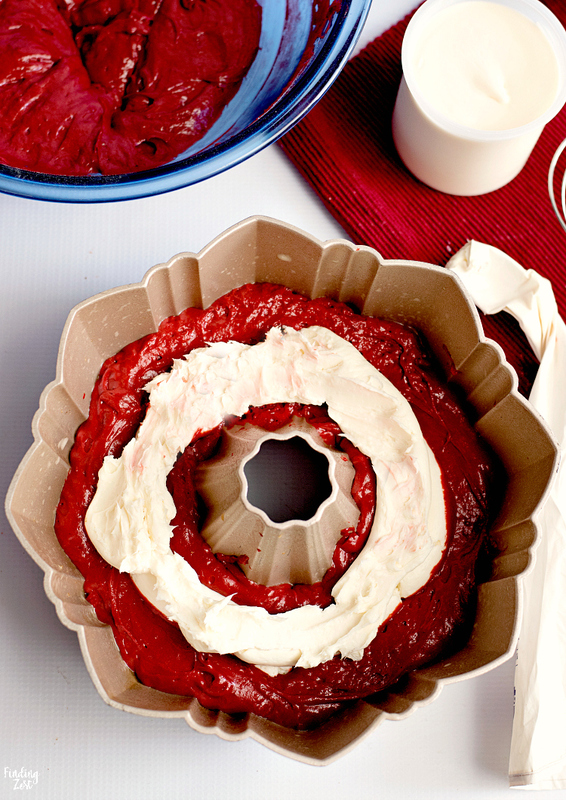 Your family won’t be able to resist this red velvet bundt cake with cream cheese filling. When the holidays roll around, delicious and festive desserts are a must for your table spread. Wow guests with this beautiful red and white cake that is easy to make and absolutely delicious. 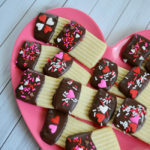 Make it for Christmas now and again for a special Valentine’s Day sweet treat! 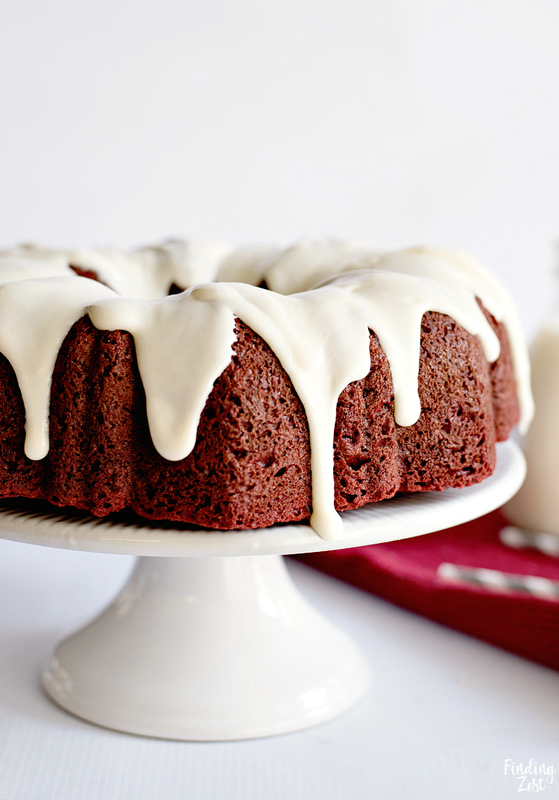 To make a red velevet bundt cake, you’ll need a bundt cake pan. I love making bundt cakes throughout the year. They are prettier than a cake made in a tradition 9×13 inch pan and are easier than stacking a layered cake. 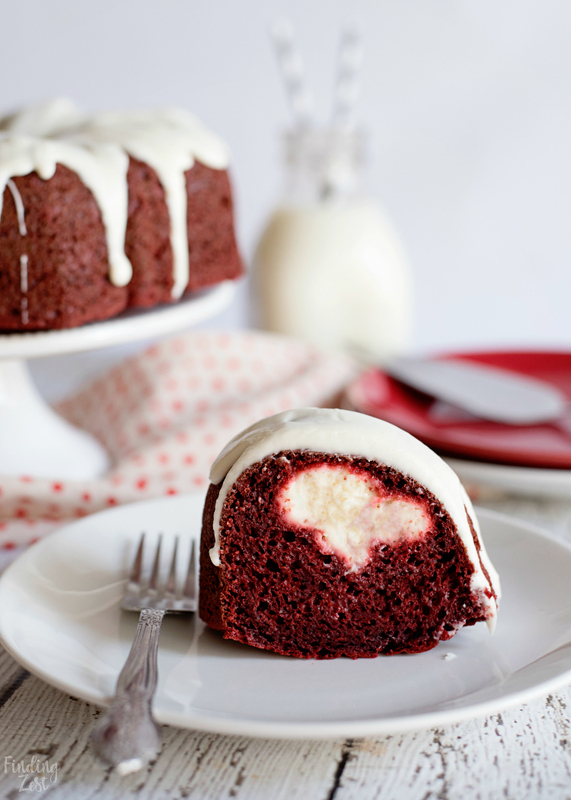 No need to worry about leveling or filling layers when you make a bundt cake, but they are just as beautiful! If you don’t already have a bundt pan on hand you can easily purchase one at any big box retailer or have one conveniently shipped to you from Amazon. You won’t regret owning one! Traditional bundt pans are 10 inches wide with a 12 cup volume. Each pans holds the standard cake mix perfectly. Red velvet cake starts with a chocolate cake base. 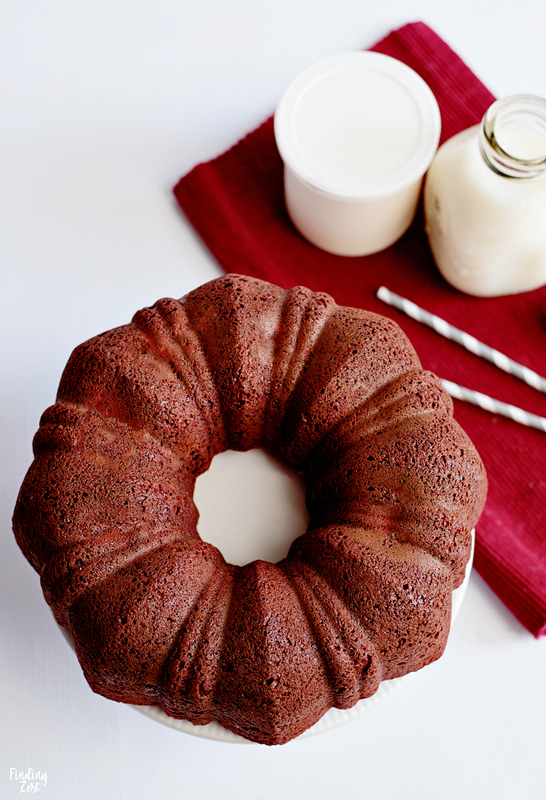 This bundt cake recipe is made with a chocolate cake mix to make it quick and easy. 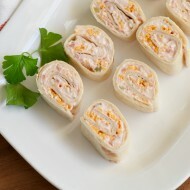 When adding your cream cheese filling, you’ll want to be sure you leave both an inside and outside edge of cake batter. 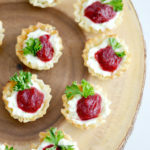 You can simply spoon your cream cheese into the center or for more precision you can use a piping bag instead. Your red velvet cake is done when a toothpick inserted comes out clean, which will take approximately 50 to 55 minutes of baking. I’ve never had any issues removing a cake out of my bundt pan but it is important that you grease your pan with cooking spray to avoid sticking. You’ll also want to give your cake 20 minutes to cool in the pan so it doesn’t break when you turn it over to remove it. The best cream cheese frosting is always a homemade one, but this recipe saves time by heating up a container of store bought cream cheese frosting in the microwave. This kitchen hack is a quick and easy way to make a bundt cake glaze. 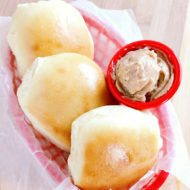 However, if homemade cream cheese frosting is your favorite, then feel free to substitute your favorite recipe! 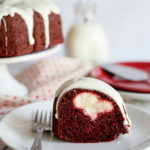 Red velvet with cream cheese is always a winning combination and this red velvet bundt cake does not disappoint! 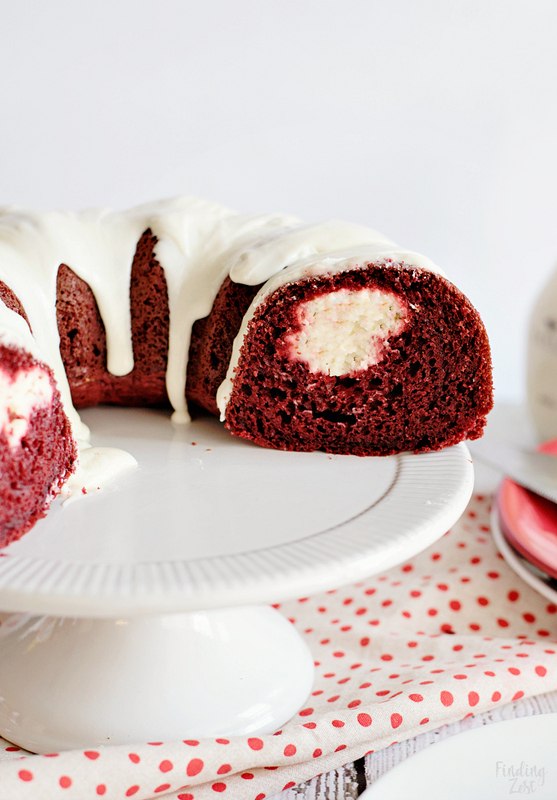 Your family won't be able to resist this red velvet bundt cake with cream cheese filling. Wow guests with this beautiful red and white cake that is easy to make and absolutely delicious. 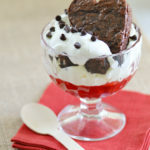 Make it for Christmas dessert or a special Valentine's Day sweet treat! Preheat oven to 325 degrees and grease a bundt cake pan with non-stick spray. 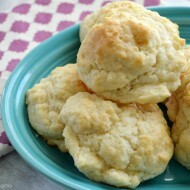 In a medium bowl, combine the cream cheese, sugar and flour and beat with mixer until creamy. Pour half of the cake batter into the bottom of your pan. Spoon the cream cheese filling around the center. 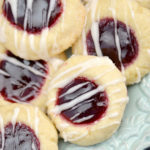 (For more precise placement you can use a piping bag. ) Leave a border on the outside and inside edges of your cake. 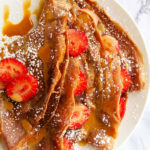 Pour the remaining batter over the top and spread around evenly. Bake for 50-55 minutes or until a toothpick inserted comes out clean. Cool for 20 minutes then invert to remove cake from bundt pan. Cool completely on wire rack. To frost the cake, remove the foil from the frosting container and remove the lid. 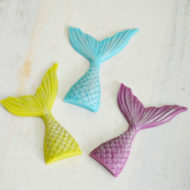 Place the frosting into the microwave and heat for 10 seconds, take it out and stir. 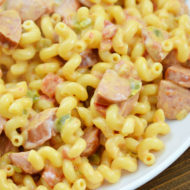 Continue cooking at 5 seconds intervals until desired consistency has been reached. 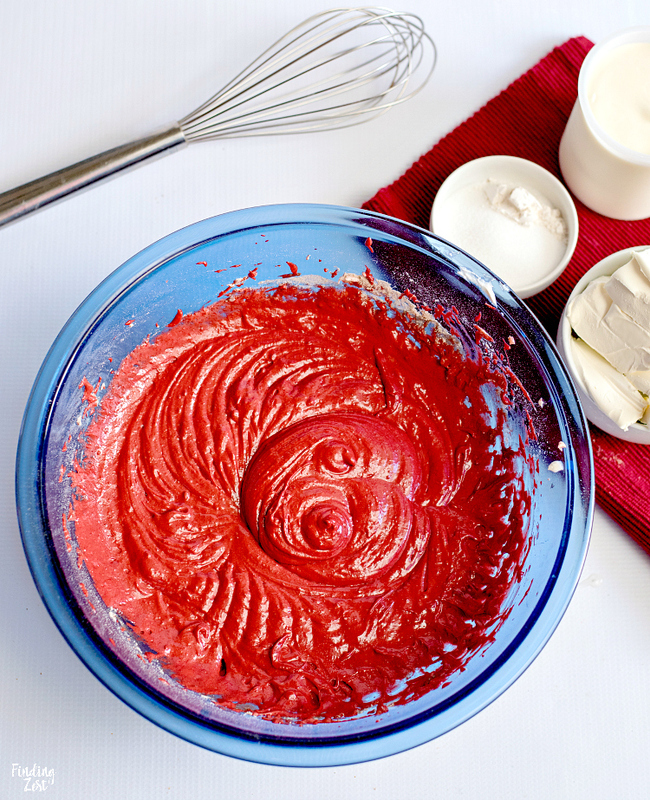 Carefully pour or spoon the frosting over the top of your cake. 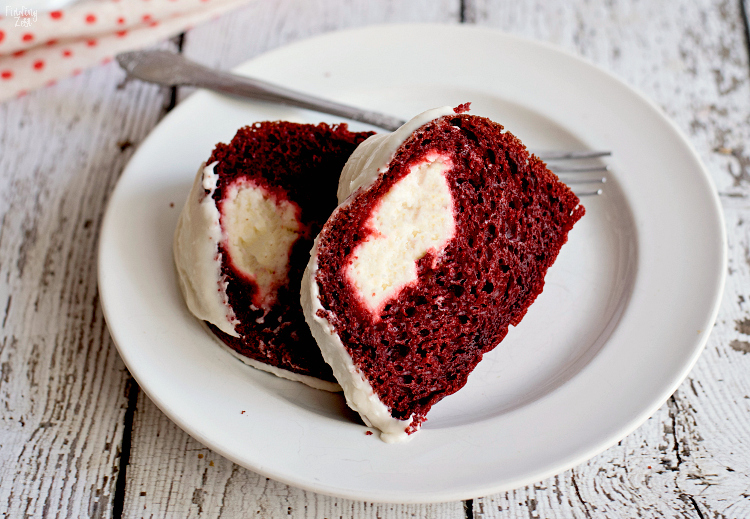 If you haven’t had a cream cheese red velvet cake before, you are missing out! 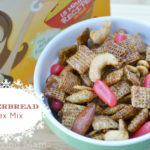 Give this easy recipe a try for an every day treat or special holiday dessert. Looking for another holiday cake? 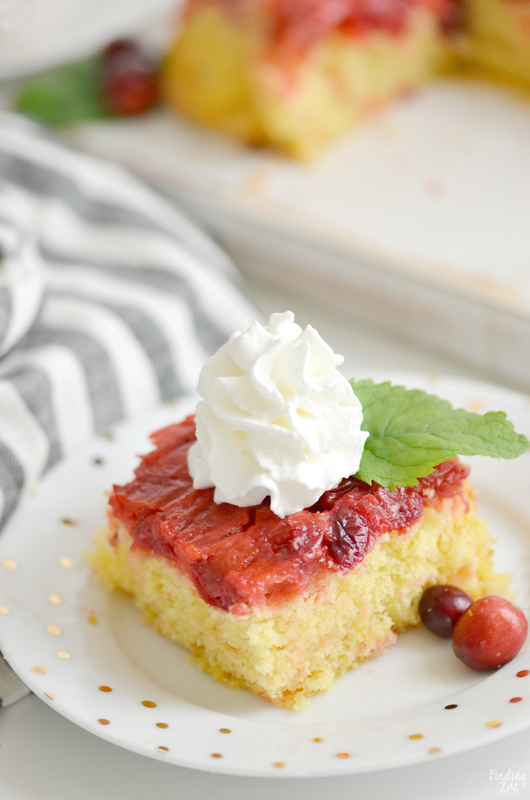 Try my upside down cranberry cake! 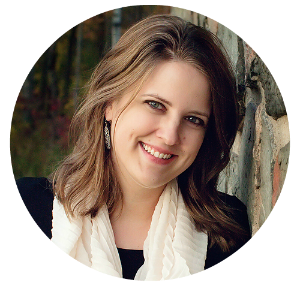 Thank you to Amanda from Mommity for this great red velvet cake recipe!